Honeywell has added new cybersecurity consulting services designed to help industrial and critical infrastructure customers identify and eliminate dangerous security weaknesses. The Honeywell CyberVantage Security Consulting Services portfolio now includes penetration testing, providing active white-hat hackers who exploit customer defenses in order to fix them. It also now offers system hardening to reduce software vulnerabilities and assist customers in safely complying with global Center for Internet Security (CIS) industry benchmarks. Delivered by consultants with expertise in both operational technology (OT) and industrial cybersecurity, the services help organizations lower the risk and possible impact of security incidents and improve their industrial cybersecurity maturity levels. “Our unique OT/IT experience has resulted in the successful delivery of more than 5,000 projects, helping customers prioritize their cybersecurity investments,” said Mike Spear, Honeywell’s global operations director for Industrial Cyber Security. “As a result, they have maximized RoI and reduced risk, saving both time and costs. 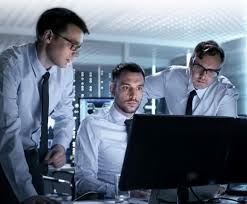 Additionally, our cybersecurity consultants are familiar with the rigorous requirements of working in an industrial facility and maintain a variety of safety and security certifications,” added Spear. The need for industrial cybersecurity skills is particularly critical as the process industries face a growing worldwide skills gap, with research company Cybersecurity Ventures predicting 3.5 million unfilled cybersecurity positions by 2021. As well, fines introduced by government legislation can cost non-compliant customers millions of dollars. Tapping Honeywell’s specialized knowledge of requirements such as industrial control system (ICS) security standard IEC-62443 and a variety of country specific standards can help avoid such penalties while improving cybersecurity preparedness. The new Penetration Testing and System Hardening offerings expand the Honeywell CyberVantage Security Consulting Services portfolio of more than 30 services that deliver comprehensive cybersecurity expertise to industrial clients, from assessments and audits to remediation.